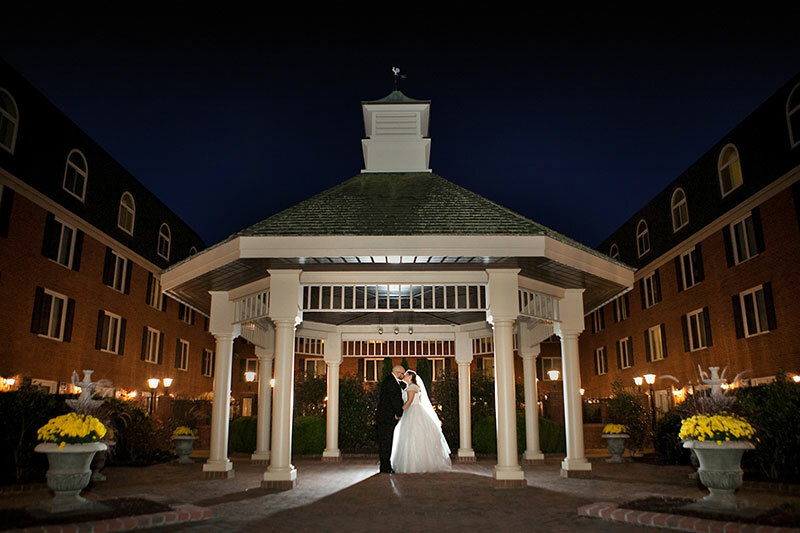 Begin your new life together at the Hilton Wilmington/Christiana! 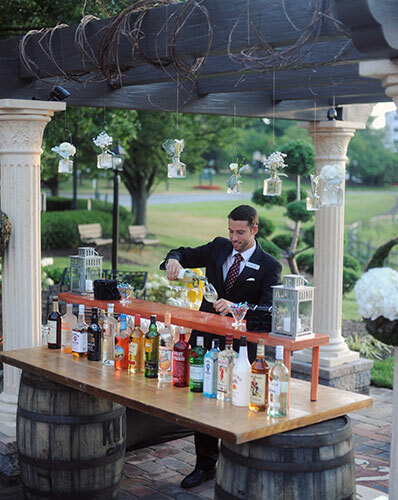 Select one of our beautiful outdoor locations for your ceremony. 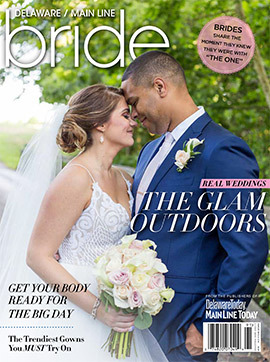 The Patio overlooking the glistening pond and fountains, or the Courtyard, naturally decorated with a breathtaking rose garden… all leading to your unforgettable reception. 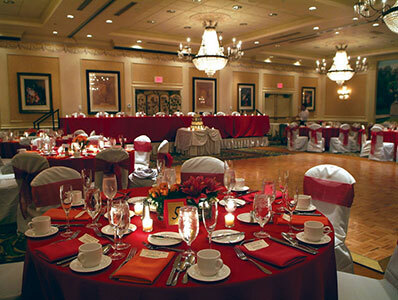 Nothing enhances a wedding reception like the elegant ballrooms inside our hotel. The Le Chameleon Ballroom is a breathtaking venue with dramatic views and a lovely domed ceiling, consisting of five French windows which add beautiful natural light to your event. 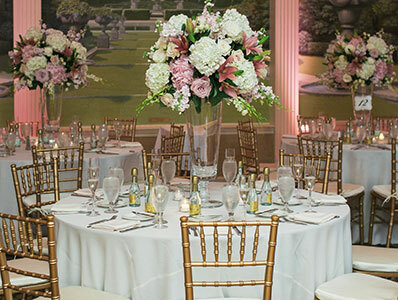 The Christiana Ballroom is illuminated by French crystal chandeliers for the perfect touch. Our award-winning culinary staff crafts mesmerizing dishes that your guests will adore. 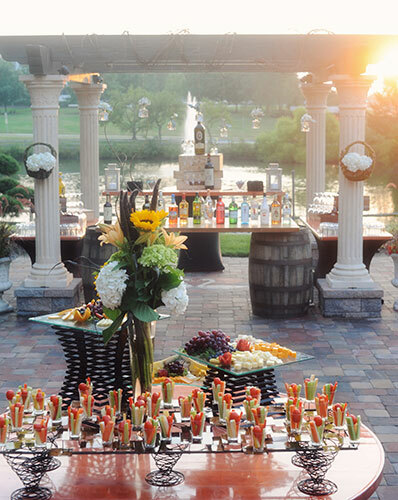 Beautiful venues, professional event staff and lavish culinary creations. Why trust anyone else? 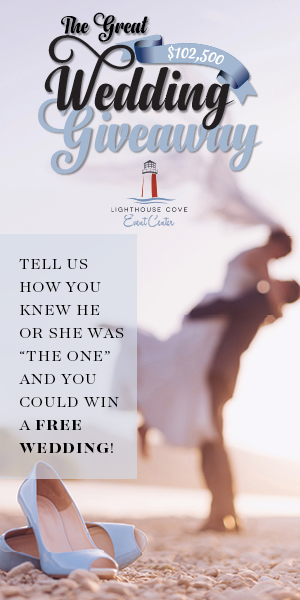 Voted best reception venue in northern Delaware by Delaware Today readers and winner of the prestigious WeddingWire Couples’ Choice Award in 2014, 2015 and 2016. Everyone deserves a fairytale wedding. Let us create yours.